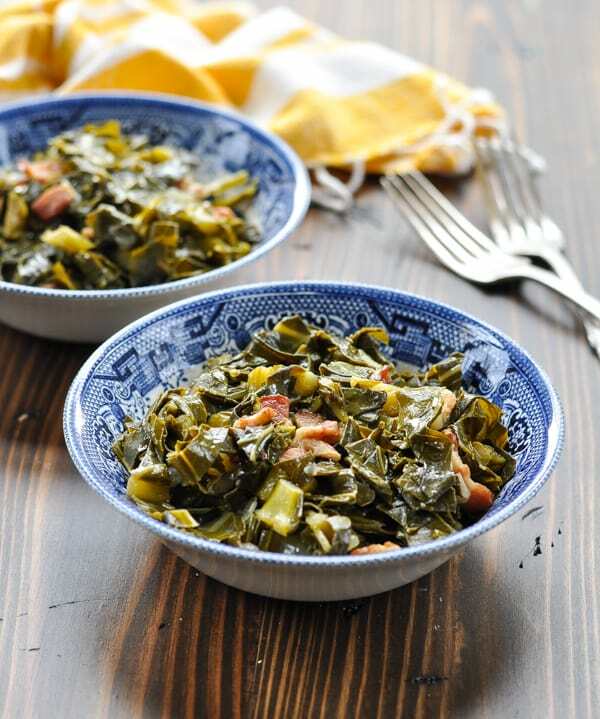 This Southern Collard Greens recipe is a classic easy side dish! Flavored with smoky bacon and sweet onion, the greens are a crowd-pleasing option for your next Sunday supper or holiday meal. 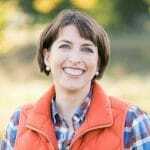 What exactly are collard greens? 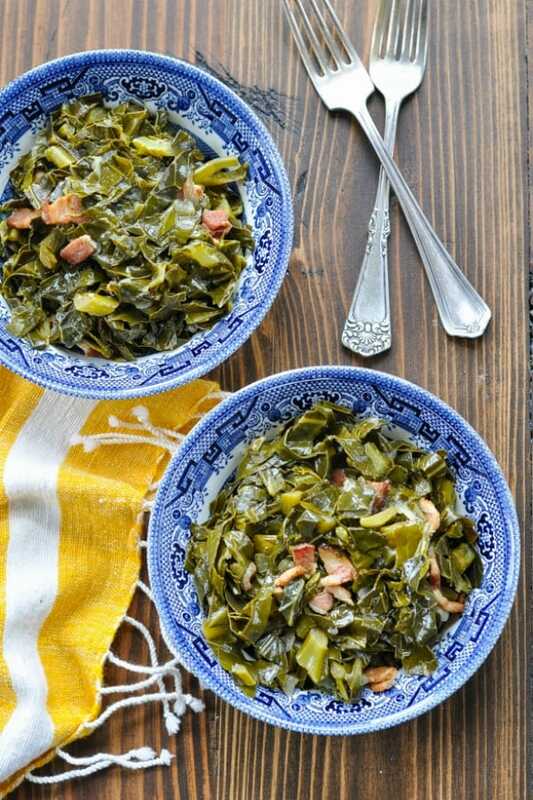 Collard greens are a type of leafy green vegetable that are common in Southern cuisine. The plant has dark green leaves and tough stems, and is included in the same family as kale, turnip greens and mustard greens. 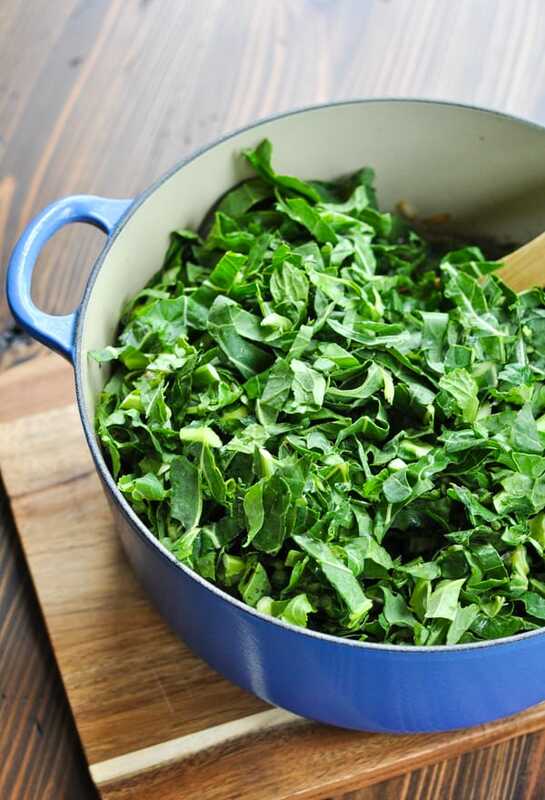 Collard greens contain a lot of vitamin K, and are also rich sources of vitamin A, vitamin C, and manganese. The plant also contains calcium and vitamin B6. 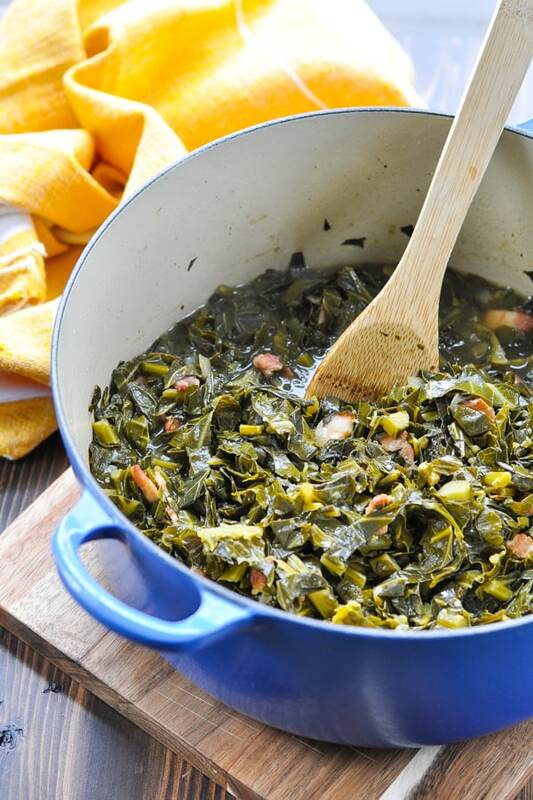 A 100-gram serving of collard greens has 33 calories (source). 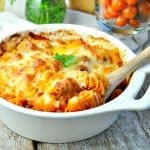 Best of all, they taste delicious when simmered low and slow with bacon, onion and garlic! We enjoy the greens with barbecue, pork or chicken year-round, but we also serve them on New Year’s Day as a “lucky” food for prosperity in the year ahead. 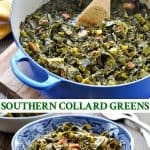 These Southern style collard greens are so simple to prepare, and then the stovetop does the work! 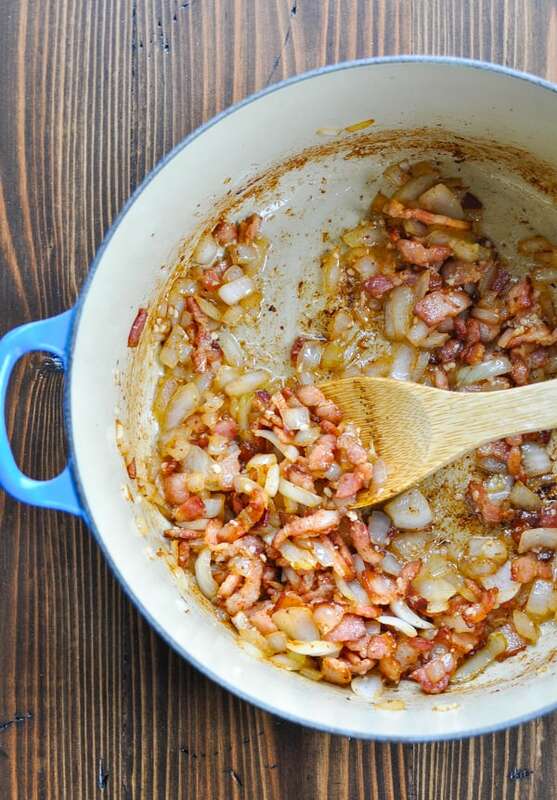 First, cook bacon in a large stockpot or Dutch oven over medium heat for 10-12 minutes (or until almost crisp). Add the onion, and sauté for 8 more minutes. Stir in the garlic, and sauté for 1 more minute. Add chicken broth, collard greens, vinegar, sugar, salt and pepper. I like to buy this 2-lb. bag of pre-washed and chopped collard greens to save the prep work of cleaning and trimming the vegetables. The pot simmers over low heat (uncovered) for about 90 minutes, or until the collards reach the desired level of tenderness. 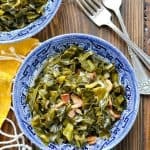 Why add vinegar to a collard greens recipe? The apple cider vinegar gives the dish a nice “tang,” and it helps to cut the bitterness of the greens. 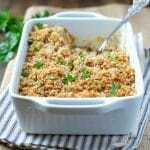 It also balances out the salty, savory flavors in the recipe. 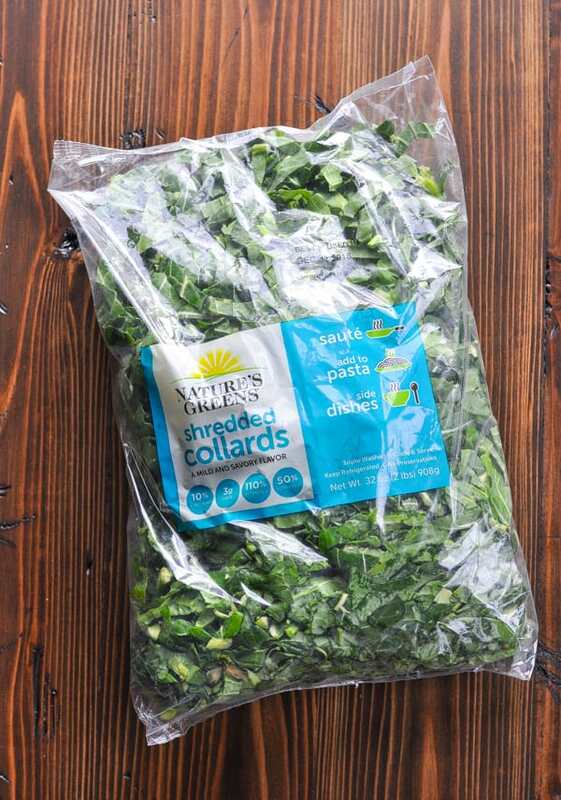 Buy pre-washed and pre-chopped collard greens for a shortcut. If you choose to wash and trim your own greens, be sure that you rinse them really well to get out any sand or sediment in the leaves. 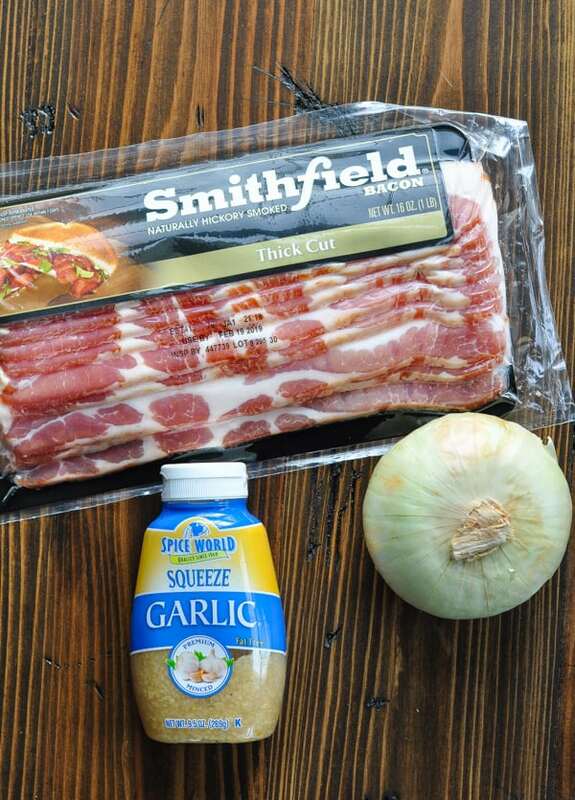 Use pork, turkey, or smoky ham to flavor the greens instead of the bacon. Give the greens even more smoky flavor by adding a dash of smoked paprika to the broth. 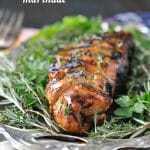 For a spicy “kick,” garnish the greens with crushed red pepper flakes or hot sauce. 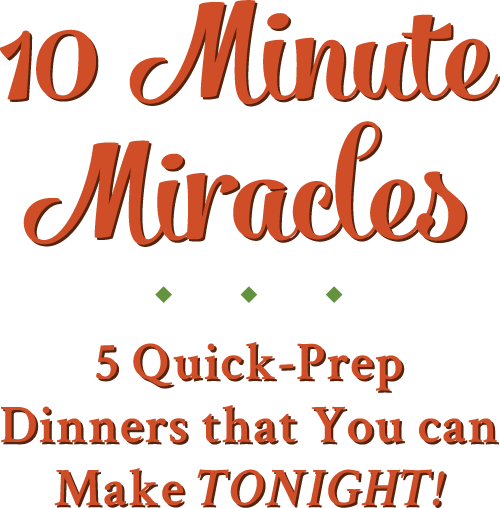 Prep ahead! 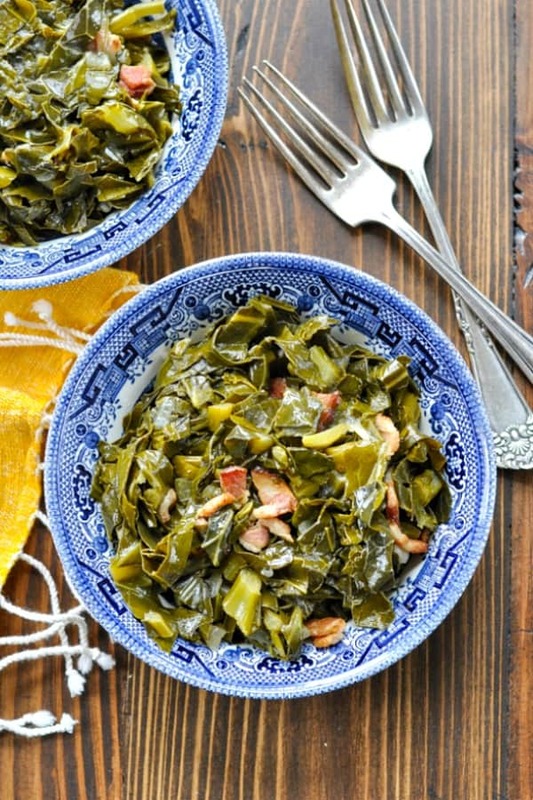 You can make these collard greens at least 1-2 days in advance. 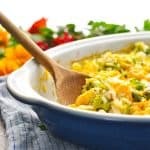 Keep them in the refrigerator and just reheat over low heat on the stovetop when you’re ready to serve them! 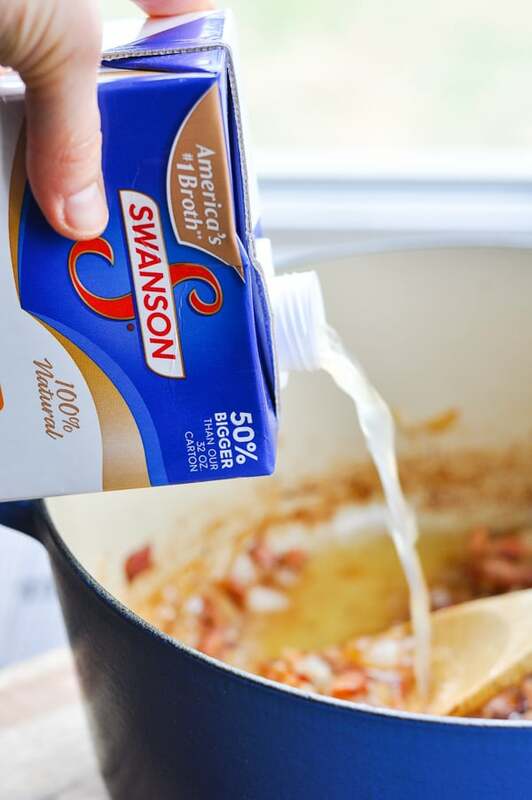 Cook bacon in a large stockpot or Dutch oven over medium heat 10 to 12 minutes or until almost crisp. Add onion, and sauté 8 minutes. Stir in garlic and sauté 1 more minute. Add broth, collard greens, vinegar, sugar, salt and pepper. 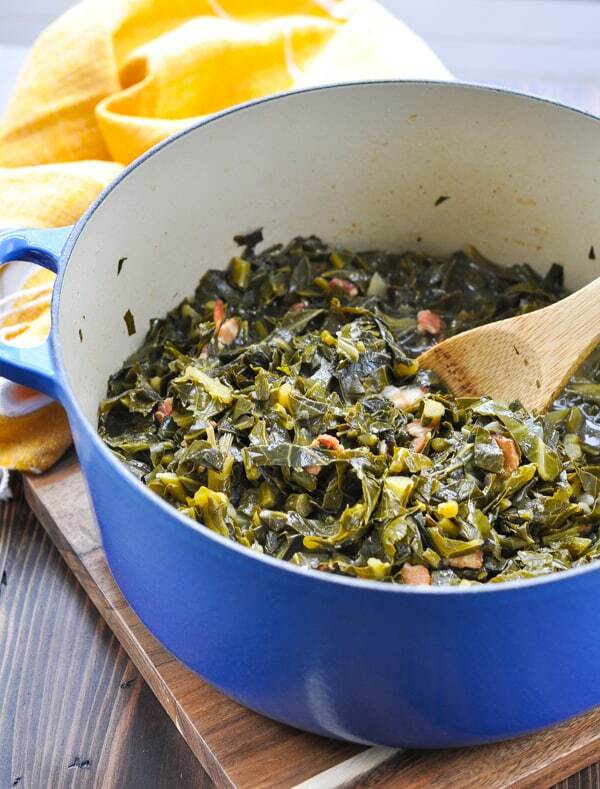 Simmer (uncovered) over low heat for 1 ½ hours, stirring occasionally (or until collards reach desired level of tenderness).